Please read FAQ before send the questions for the issue. 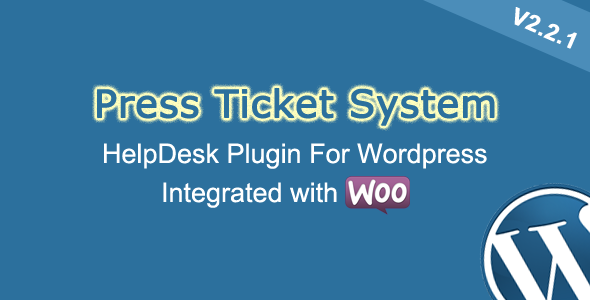 Press Ticket System (PTS) is help desk software. You can use PTS to provide support to your customers. It is a software suite that enables customer support or support desk agents to receive, process, and respond to service requests. PTS builds on this definition of help desk software by creating a powerful ticket-management platform that allows you to centralize all your customer conversations. PTS enables conversations via web, email. No matter how your customer contacts you, PTS centralizes all communication so nothing gets ignored. Web-based – accessible from anywhere with just a browser, works on smartphones and touch devices. File attachments – post documents, screenshots, PDFs … all file allow to upload by WordPress Editor. Permission: Limit to access Ticket Function. Login Form included: The customer can quick access to Ticket Board by login via this form. New Ticket Alert – Alert sent to staff, if enabled, on new ticket. New Message Alert – Alert sent to staff, if enabled, when user replies to an existing ticket. Response/Reply Template – Template used on ticket response/reply. Debug tool: used for testing before get it work, if there have any error or warning, it will show on and you can fix it as the suggestions.